Softlogic Group subsidiary Asiri Hospital Holdings Plc (ASIR) has invested Rs. 5 billion to set up a new hospital in Kandy by 2018. “The project will be completed within 20 months from now,” Asiri Hospital Holdings Plc Group Chairman and Managing Director Ashok Pathirage confirmed yesterday. 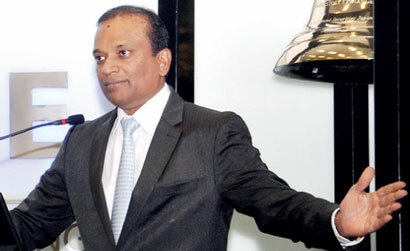 He made these remarks when Asiri Hospital Holdings Plc commenced trading symbolically for the month of December at the Colombo Stock Exchange (CSE). The state-of-the art hospital will be built on a two acre land in Peradeniya, with 140 rooms. Pathirage noted that having the best consultants and continuous introduction of new technology in medical care have been key components in outstanding competition in the healthcare sector. Asiri Hospital Holdings Plc Group CEO Dr. Manjula Karunaratne said that as a group, Asiri are strongly committed to strive towards a sustainable value creation with a vision to become the best healthcare provider in South Asia.